Thank you to everyone who attended my oil demonstration last night. It was great to return and see so many familiar faces. 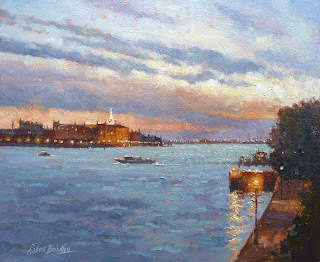 This is my completed painting: 'Sunset, Guidecca Canal, Venice.